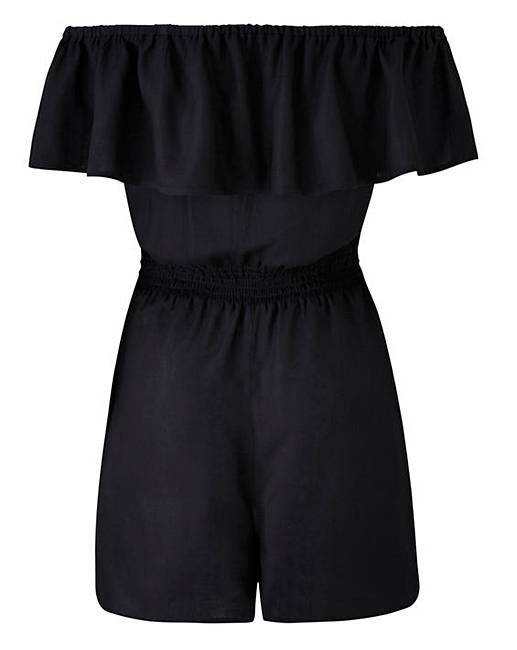 Black Bardot Frill Playsuit is rated 4.5 out of 5 by 4. 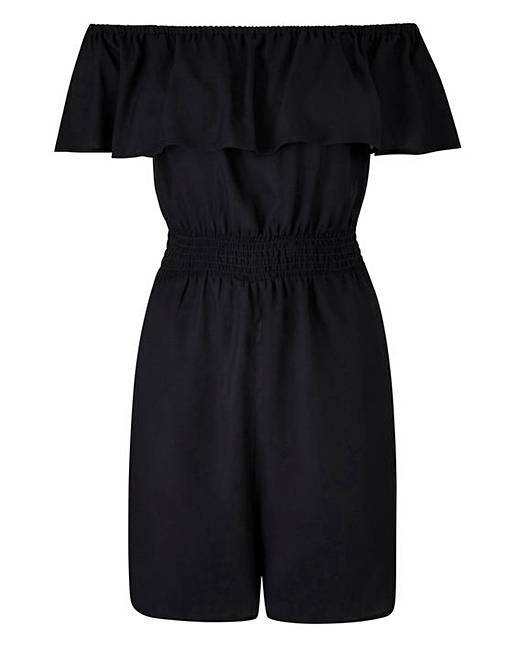 Simply styled and super easy to wear, this bardot frill playsuit is the ultimate holiday wardrobe must-have! The ruched waistband promises to pull you in around your middle and compliment those fabulous curves, meanwhile the bardot style top allows you to flash a little flesh. 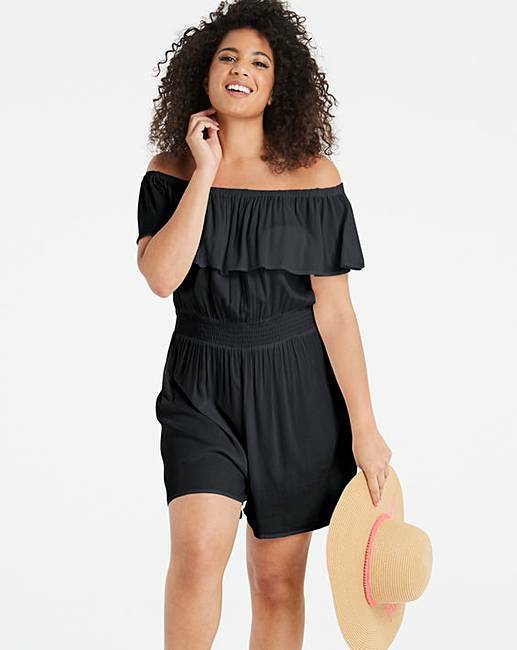 Style it up or dress it down, this piece is lightweight, versatile and perfect for those hot, sunny days. Rated 5 out of 5 by Wills from Comfortable Very comfortable to wear. Sizing excellent but crutches very easily. Rated 3 out of 5 by Jo04 from Looks very pretty Unfortunately I had to return this item. I loved the look of it but found the sizing to be larger than normal. It was lovely material and wouldve looked very nice had it of fit me!